There’s nothing like a day spent outdoors to relax and clear your mind. North Florida is the perfect place to kick back in the Florida heat or spend the night underneath the glow of the stars. Whether it’s adventure or tranquility you seek, Mother Nature has the cure. Follow this three-day trip guide to recharge and get reacquainted with natural beauty of the great outdoors. Home to the famous Suwannee River, Suwannee County is a historic reservation nestled among the pines and oaks of north Florida. Its calm waters offer visitors the chance to leisurely glide through the area’s landscape and admire its serene vistas. 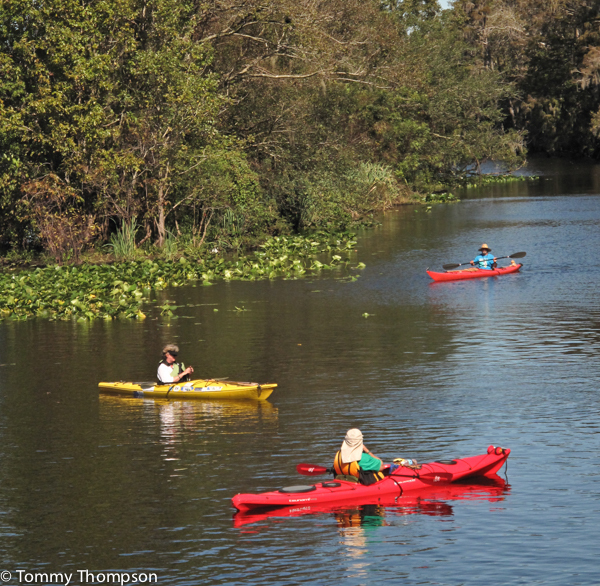 Visitors are encouraged to bring their own aquatic equipment or rent supplies at venues such as Suwannee Canoe Outpost. This outfitter is located in the Spirit of the Suwannee Music Park, and staffed with experts who are well-acquainted with Suwannee River’s hidden gems. Camping along the Suwannee River is a must-do. 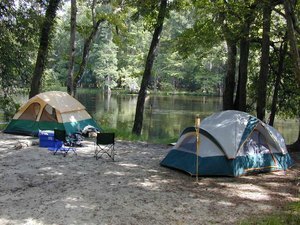 Visitors can rent classic cabins at Suwannee River State Park, or pitch a tent along the river’s bank. This area is also peppered with hiking trails, wildlife observation areas and oases perfect for cooling off after a day full of outdoor adventure. The River Run Campground is another local, family-friendly venue known for its camping experiences. Its clean facility allows for a great outdoor stay, and its central location removes the hassle of traveling to each outdoor activity. Just shy of an hour east of Suwannee County is Columbia County, Florida’s gateway county. Make a splash into beautiful Ichetucknee Springs, which is noted as one of the greatest National Natural Landmarks. Ichetucknee’s Family Canoe and Cabins Campground offers several different amenities for campers. It’s both a water / electric and primitive campsite equipped with fire rings, picnic tables and grills for each family’s use. Enjoy a day of barbecuing, canoeing, kayaking, swimming and other water activities in this playful community campground. Enjoy some of the county’s freshest fish at a local restaurant favorite: Cedar River Seafood. Located in the center of town, and a short drive from the campground, the restaurant is the perfect place to relax and enjoy a home-cooked meal after a day of sun and fun. 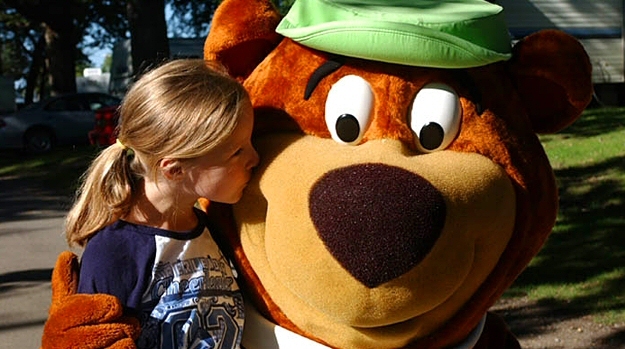 Madison County is home to Yogi Bear’s Jellystone Park. The Park is not only a campground but also a water park attraction. Let their friendly staff take care of your itinerary with the various events and activities hosted daily. The kids will love the park’s splash grounds, characters, games and other activities such as gem mining. Jellystone Park also hosts areas for entertainment and relaxation, and serves concessions all day. Each evening, the Park offers an area designated for s’mores by the campfire. It also has cabins for rent for a cozy, comfortable night’s stay. North Florida’s campsites are known for their down-to-earth feel and rustic atmosphere. No matter what it may be, you’ll be sure to find a campground that suits your desired landscape. With tons of locations set in parks, springs, forests and woodlands all across northern Florida, there are limitless options to what can be done and seen. Whether you’re traveling alone, as a pair, in a group or with the family, you’ll find what you’re looking for in our three-day camping trip guide.